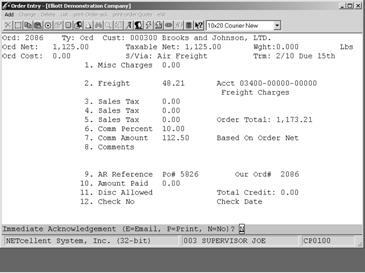 During the development of our Web Solutions Programs we recognized that not all businesses have the need or budget to implement a full scale Web accounting and distribution system. 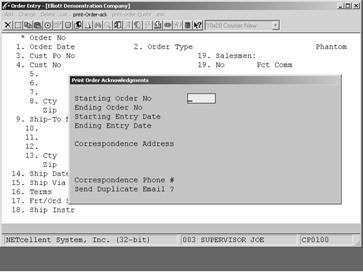 It is because of those businesses that we included our eContacts and Mass E-Mail as standard bundles to Elliott Software. This allows businesses to use many of our Web features to improve their functionality, enhance Customer Relationship Management and eventually migrate to our Web solutions programs as needed. 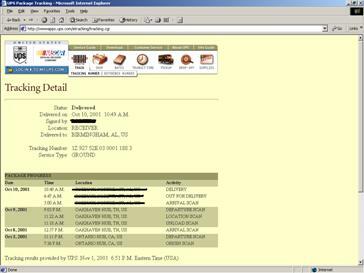 Our Customer Order Processing module has many web related features, some of which are obvious while others are salient. It is for two of those salient features that we would like to show you how you can add that extra touch to your Customer Relationship Management practices. 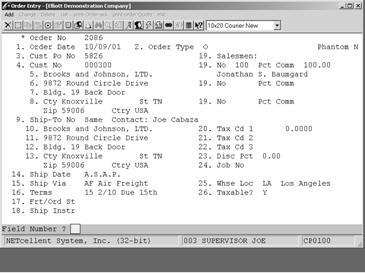 Imagine how a customer perceives you, your company and your service when they receive an e-mail confirming their order, especially when the e-mail contains the items, quantities and prices. 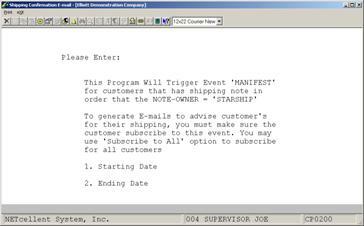 Elliott makes the e-mail possible for you, automatically or in batch mode. For convenience we have completed the order and in the Billing Screen we have pressed Enter to save and start another order. See next page. Send Immediate Acknowledgement: Default flag in COP Global Setup. 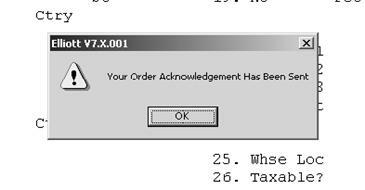 Select E=Mail to send an Order Acknowledgement. 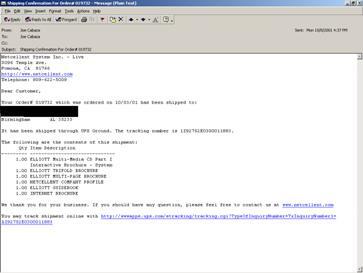 The system will verify the Contact’s e-mail address from the Order Header screen and send an e-mail to that address. 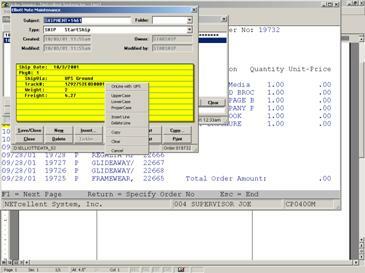 During Add Order or Change Order modes, you can click the eContact Icon to change the contact for the order. 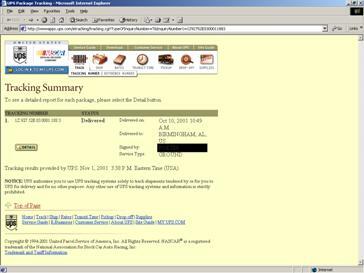 Confirmation that the e-mail has been sent. Note: Same CRM functionality also available in Sales Desk. 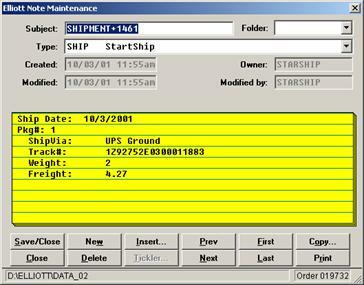 The system will select all orders based on what you defined Pick/Pack & Ship tickets in global Setup. Step 5. Ask customer for new order.